We have available with us a wide range of Water Dispensers, which are used for mineral water vending at railway stations and bus stations. These are easy to install and efficiently remove all the dust particles to provide crystal clear water. These water dispensers are customized as per the specifications of our clients and are manufactured in compliance with various industrial standards. We use high-grade Stainless Steel 304 to fabricate this range thus assuring that our dispensers remain functional for a longer period of time. These are offered at industry leading prices and are packed in hygienic packing material. 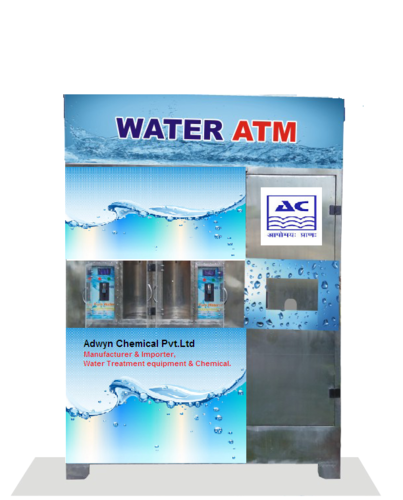 We are the prominent manufacturer, trader and supplier of a superior quality range of Industrial Water Treatment Plant with ATM Machine. Our range is formulated from high quality chemicals and are highly effective in reducing the hazardous waste from the raw water & waste water. Professionals have extensively taken care of accurate compositions that are in accordance with the prevailing international standards and market requirements. Clients can avail this range in varied quantities and compositions for varied commercial and industrial purposes. 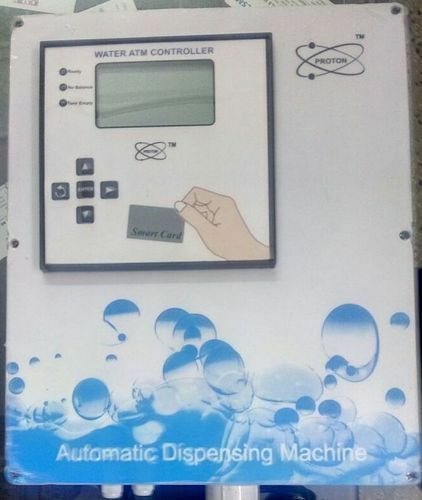 The RFID card based automatic water dispenser has a card mechanism, controller, flow sensor and solenoid valves. 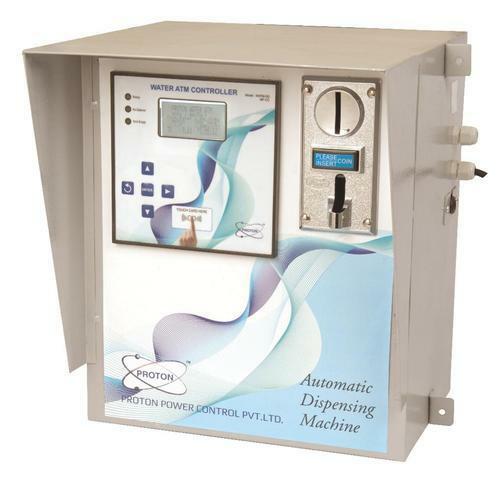 Hassle free uninterrupted water purifier 24x7. Dispenses exact quantity of water in batch. No need of operator for water filling. No need of external recharge unit. Low power consumption can even work on UPS. Number of jars dispensed and cash collected. 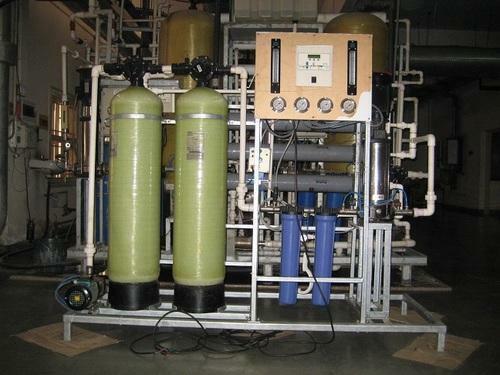 We are dedicatedly engaged in offering a commendable range of Water ATM with Chiller and RO capacity 500 LPH. Besides being manufactured from high-grade raw-material and latest technology, the offered chiller is inspected properly by our expert professionals. Owing to features like durability and sturdiness, the offered chiller is exceptionally valued by our precious clients. The offered chiller is available with us in various specifications at affordable price. 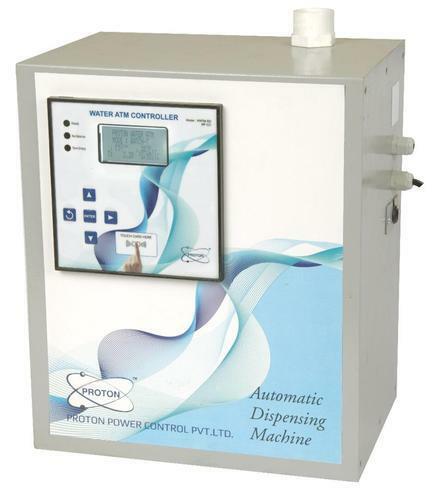 By utilizing our years of experience, we bring forth a qualitative array of Coin Operated Water Vending Machine that has a coin mechanism, controller, flow sensor and solenoid valves. The offered machine is manufactured utilizing superior quality raw material and latest technology. Moreover, a team of our quality controllers conducts a series of quality tests on the entire range to seek out any possible defect. In tune with industry standard, we provide the entire range in various customized options and industry leading prices. Dual line backlit display for: Dispenser status: Number of jars dispensed and cash collected. Dual line backlit display for: Dispenser status : Number of jars dispensed and cash collected. Looking for “Water Vending Machines With RO Plants”?